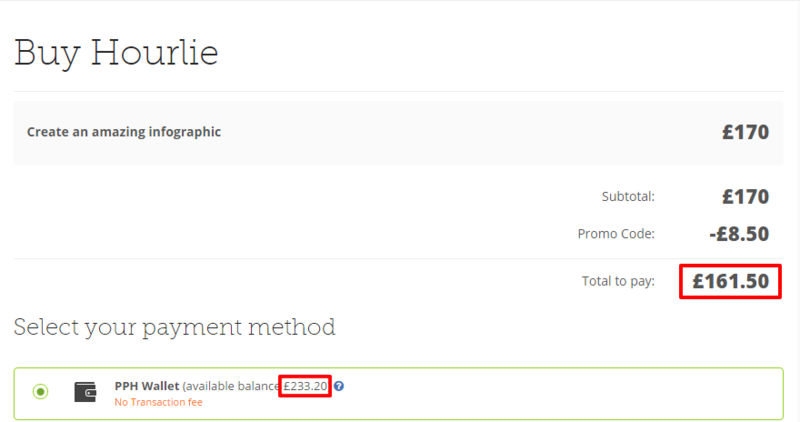 Up to now, in order to purchase an Hourlie or pay for a Job listed in a specific currency, you should have the exact amount of that currency in your Wallet. You can now complete your purchases using amounts stored in other currencies too, which will be automatically converted in the required currency in the payments page. For example, having $100, €100 and £100 as shown in the image above would normally disallow you from purchasing an Hourlie that costs £170. The converted amount will appear.